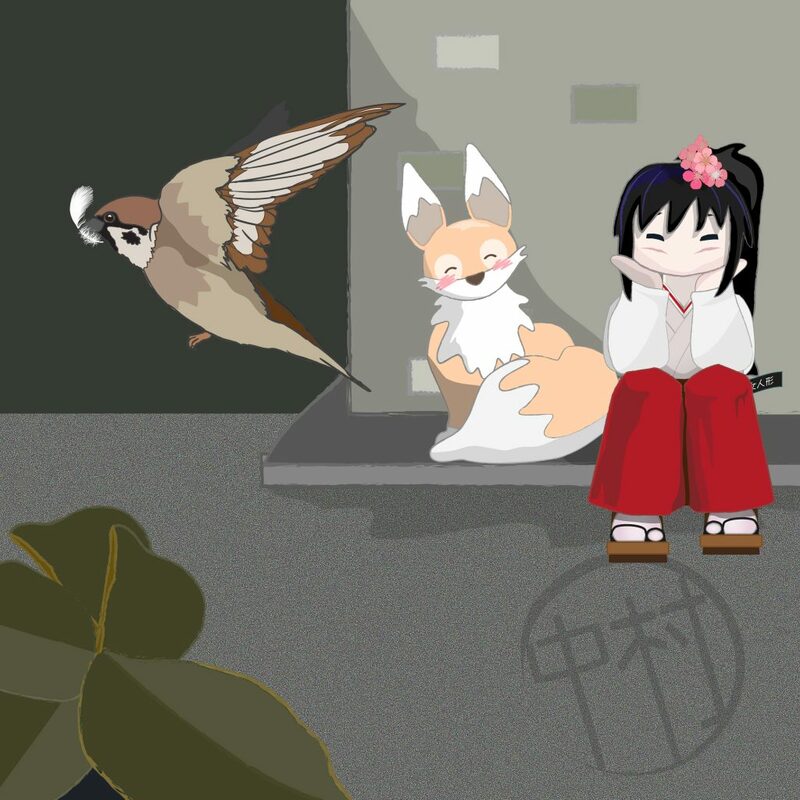 Miko-chan loves living at the Bamboo Bathhouse – she is particularly fond of the everyday scenes around the neighbourhood – the plastic plant pots outside front doors, futons drying on balconies and leaning bicycles – the ordinary and to some mundane aspects of human life. Nothing is more ordinary than a sparrow – but she finds their interactions fascinating, and even loves the incessant cheeping they make. One of her favourite pastimes is to sit on the front steps of the Bathhouse and watch them squabbling over crumbs and bathing in puddles. She had recently heard Mama Kōjin telling someone in a store that she only wanted ‘sparrows tears’/ ‘suzume no namida’, and had to ask her what she meant. Mama Kōjin explained that it was a saying that meant a very small amount of something, and Miko-chan found this term so charming. 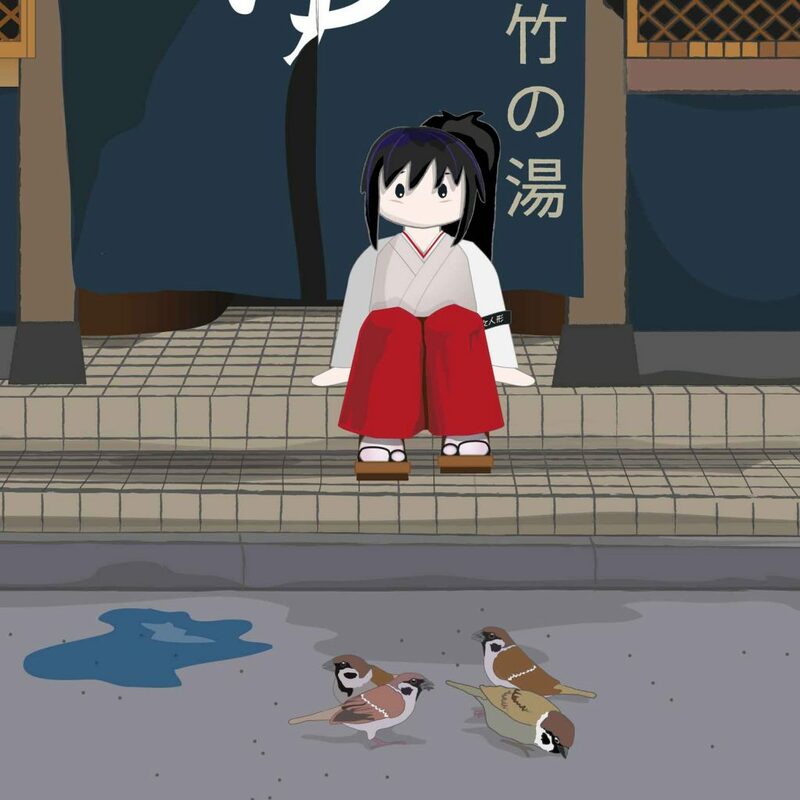 She had also read the Japanese folktale, Shita-kiri Suzume (舌切り雀) which in English translates as the ‘Tongue-cut Sparrow’, about an elderly man who helps an injured sparrow and is rewarded, but his greedy wife who doesn’t wish to share the couple’s food harms the sparrow and ultimately pays for her greed. Katsushika Hokusai created a work that shows the sparrow with its tongue cut and a pair of Japanese scissors nearby. Kiku told her that the sparrow features a lot in Japanese art, and also forms the part of some family crests. 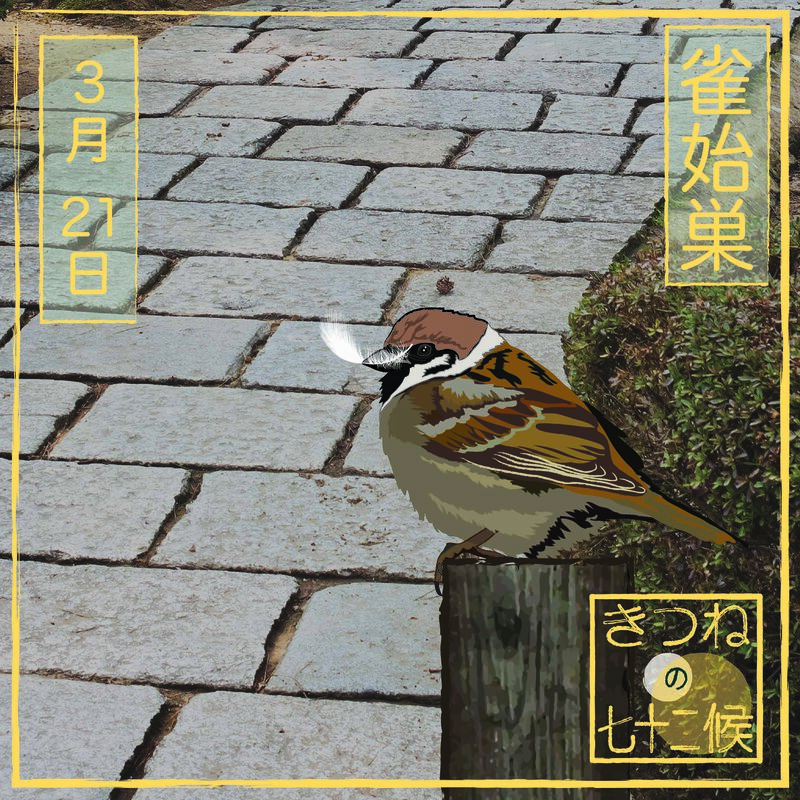 An interesting feature is that the sparrow can represent any season, depending on the motif it is paired with – unusual for Japan where most of food and nature is associated with a particular season. I love sparrows! We rarely see them here in Sydney. Really? That’s a shame – have they declined there too I wonder?